4. Run the mysql_secure_installation scrip to setup MariaDB root password. Edit config.php and change the database_name_here, username_here, and password_here. For WordPress Theme and Plugging development, change the WP_DEBUG to true. From the web browser enter the http://DomainName or http://IP_Address. The WordPress Installation page will appear. 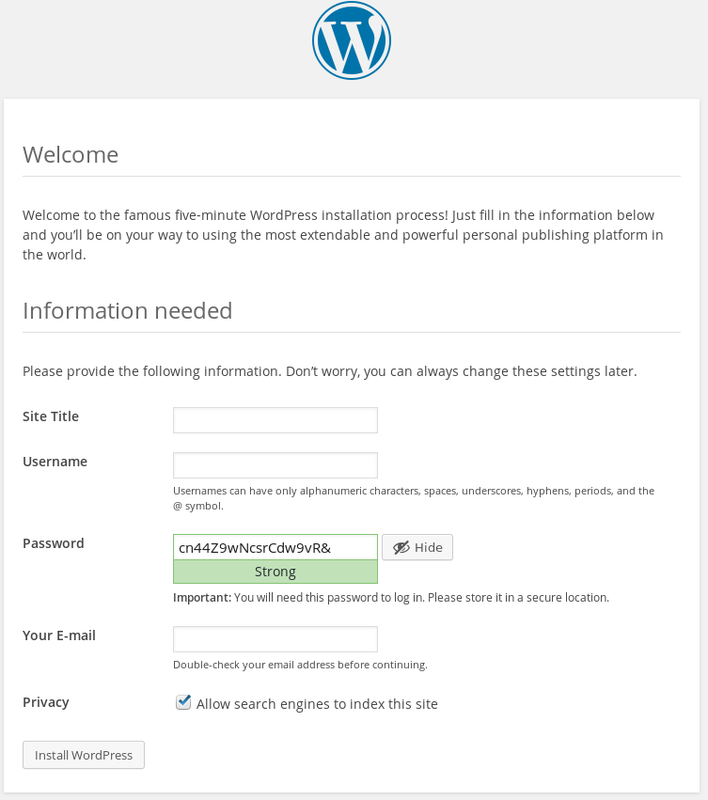 Enter the Site Title, Username, Password and email then click on ‘Install WordPress‘ to start the WordPress installation process. 9. After the WordPress installation completes, login. That’s it folks.